The “Call Me” concept isn’t new but it’s low-hanging fruit that many don’t take advantage of. 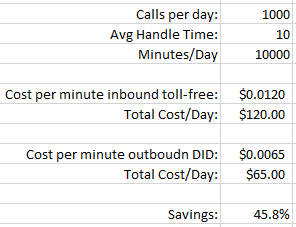 Using Amazon Connect, we’ll create a simple UI to improve the caller experience while saving 46% on our telephony costs (assuming we’re making US-destined calls with a US East/West instance) by diverting inbound toll-free calls to outbound DID calls. 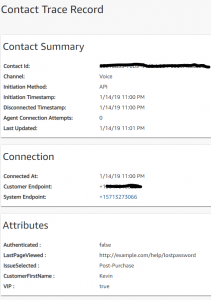 This is an extension of the “Placing Outbound Calls Using Amazon Connect API” post I did a couple months ago. That post should be your starting point if the code examples below aren’t lining up for you. Example based on 10,000 inbound TFN dials per day. This assumes US-bound dialing with US east/west instance types. Beyond the immediate telephony cost savings and user experience improvement, there’s also the added benefit of transfer reduction and better staff tiering as you know the customer-selected issue before they call (and can route to the correct population/tier based on that issue selection). Additionally, there’s likely a reduction in caller identification, authentication, etc. It’s a win-win that takes very little effort to implement. 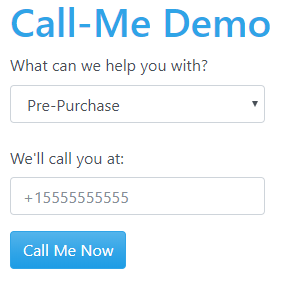 Creating a simple form to allow the customer to enter their phone number and also pass some basic contextual attributes that we’ll present to the agent. 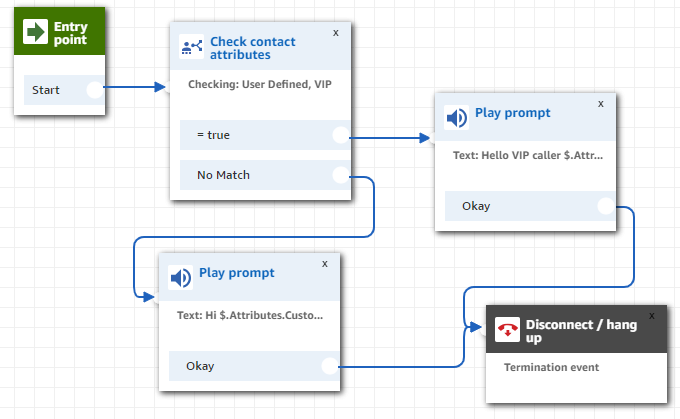 Setup a contact flow to deliver a custom greeting based on contact attributes we pass via the outbound call. Placing an outbound call to the customer. Surfacing the contact attributes to the agent via the Streams API (assumes you already have this installed). You can download the full demo here. To make this look a bit spiffier than just generic forms, I’ll use the Cerulean Bootstrap theme. You can download the full demo code here. If VIP<>true, we’ll play a standard, more generic prompt. Locate the caller’s name (via stored attribute) and pass it to the contact flow to greet the caller by name. After greeting, terminate the contact. 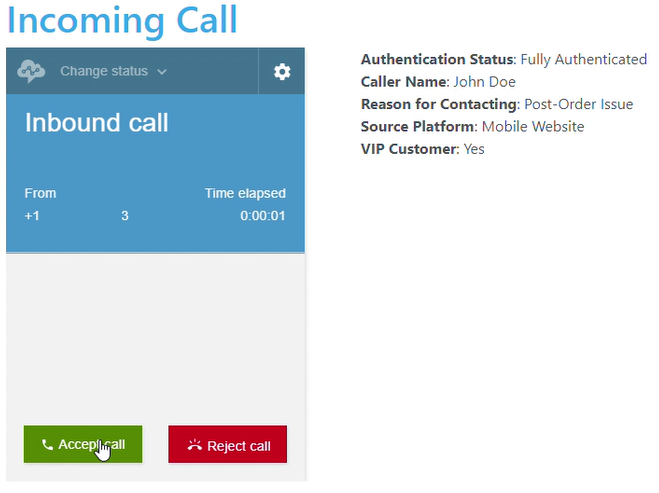 In order to play the caller’s name as part of the prompt, we’ll reference the user-defined attribute we set in step 2 (see referenced code example zip file): “Hello VIP caller $.Attributes.CustomerFirstName“. 'QueueId' => '', // Use either QueueId OR SourcePhoneNumber. SourcePhoneNumber must be claimed in your Connect instnace. //'SourcePhoneNumber' => '', // Use either QueueId OR SourcePhoneNumber. 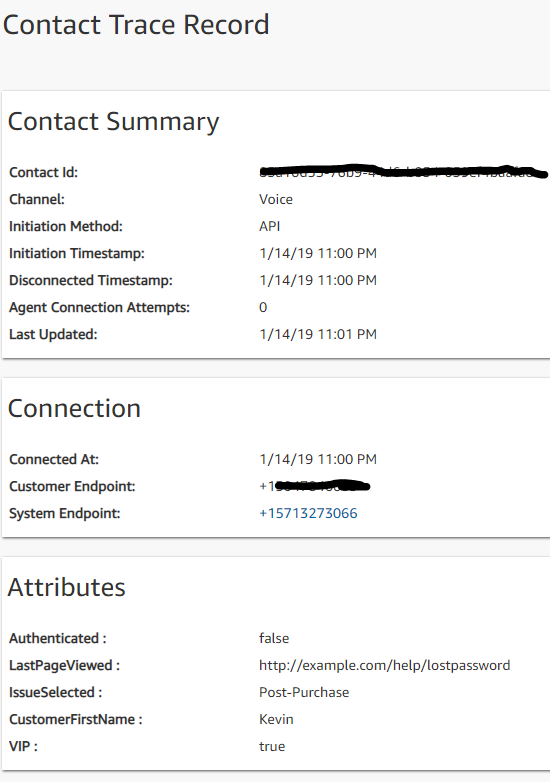 SourcePhoneNumber must be claimed in your Connect instnace.